This unbelievable mouth-watering treat is shaped and stuffed like your usual favorite taco, but it's more! 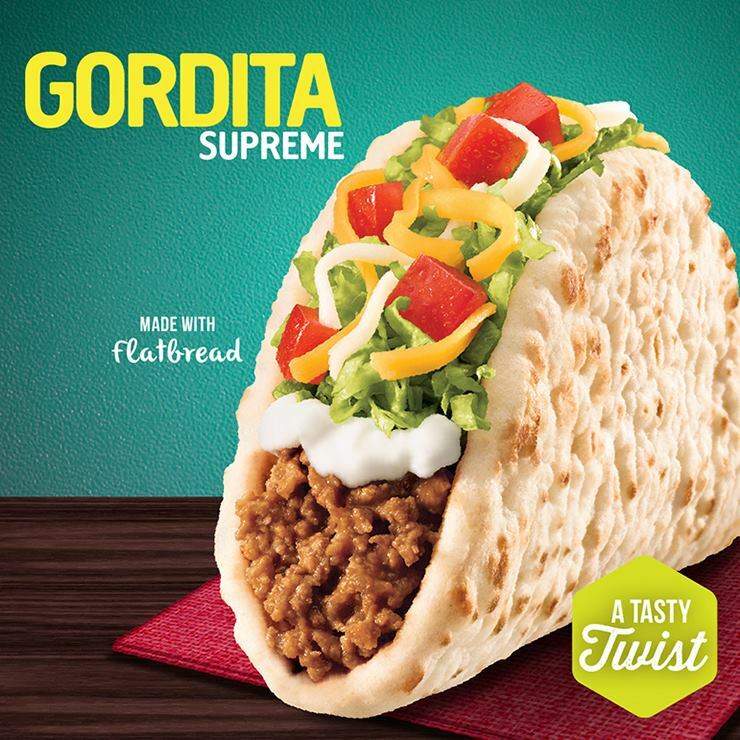 Made with seasoned beef, fresh shredded lettuce, cool sour cream and diced tomatoes, sitting on a warm pillowy flat bread, Gordita Supreme gives taco lovers more reason to munch into this tasty twist to their favorite treat. The Taco Bell Gordita Supreme is available at only P99 a la carte, or mix it with nachos and a 16oz drink for only P149. Come one, come all and try out this delectable offering at Taco Bell Gateway, TriNoma and Alabang Town Center. The Taco Bell Gordita Supreme is available today until July 11, 2016 only. Learn more about Taco Bell's latest offeirng Gordita Supreme, and enjoy their other delectable treats that you will surely come back to. Visit the official website at www.tacobell.com.ph, or check out their official Facebook page at www.facebook.com/tacobellPHL, follow @TacoBellPHL on Twitter and Instagram, and check the official hastag #TacoBellPHL across Twitter, Facebook and Instagram.